While covering over 40,000 nautical miles across the Pacific, the Atlantic and through the Caribbean, the captains of ‘La Vagabonde’ showed the world what it’s like living on a yacht. 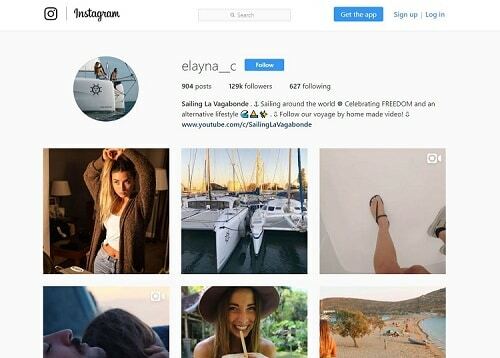 Australian couple Elayna Carausu (24) and Riley Whiteplum (33) ditched their jobs and set off on a yacht with the aim of circumnavigating the globe – while sharing their adventures with the world through YouTube videos. The two made such an impression that they managed to get their adventures financed by a crowdfunding platform and through YouTube where their Vlog is featured as ‘Sailing La Vagabonde’. The deal with the crowdfunding platform was that they would produce at least a video a month. Although being paid to sail around the world on a £500,000 yacht sounds like every sailor’s dream come true, living on the ocean in such close quarters can turn into a nightmare. The couple had their share of frightening encounters, of which explosive arguments were the least. In one harrowing incident the yacht’s anchor chain became attached to another boat and they were dragged out to sea in 40 knots of wind before they were fortunately rescued by the coastguard. Later on Elayna had to spend time hiding in a storage compartment when they were approached by pirates near the Galapagos Islands. Riley also contracted Chikunganya, a potentially fatal mosquito-borne viral disease. Arguments Aside, There’s Sunshine, Fresh Air – and Fresh Fish! Despite the couple being together for over three years, living in such a confined space takes its toll and Elayna and Riley had the added stress of having to learn how to sail. The two actually set off on their journey with very little experience. Heated arguments are inescapable within the confines of such a small space during long periods of time. And yet, the couple continue on and keep producing their mandatory video clips. They also seem to be having a lot of fun while getting excellent suntans and enjoying a bevvy of freshly caught fish.